Berlage designed this house for Carel Henny, the director of the insurance company 'De Nederlanden van 1845' for which he had already designed office premises. 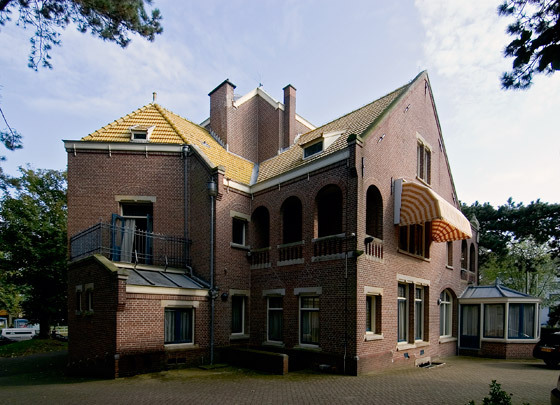 As Berlage was now in a position to design everything down to the door handles, this house is one of the few opportunities he had of achieving the unity of style he strove for. Though the villa has since become an office, it has remained largely unaltered and the brick, stone and wrought iron of the intriguing main hall is still there to be admired.